Nozomi Fortune Services, Inc., one of the country's pioneers in manpower contracting, has partnered with STI Education Services Group, Inc. to become forerunners in the unique education program named Program for Resurgence of Industrial Development and Excellence (P.R.I.D.E.). Nozomi Fortune Services, Inc. Managing Director Alexander S. Arnado signing the MOA. STI VP for Channel Management Resty Bundoc, and STI EVP and COO Peter Fernandez. P.R.I.D.E. is an innovative education program, launched by Nozomi about a year ago, which aims to simultaneously grant free collegiate education and work experience to beneficiaries known as Ã¢â‚¬Å“student participant trainees. Inked on December 20, 2012, the partnership will allow the trainees to enroll in their chosen courses in selected STI campuses nationwide while concurrently working in the accredited business enterprise of Nozomi. Strengthened by its continued quest to provide better opportunities to the underprivileged Filipino youth, and with STI's strong network of colleges and education centers in key locations nationwide, college education is now more accessible to P.R.I.D.E. trainees. We are looking forward to this partnership because this gives us an opportunity to extend our assistance by providing quality education to the underprivileged high school graduates. As early as now, we are already geared to support them as they learn how to balance their work, life, and studies. As an educational institution, this joint venture is significant to us because it means being able to help strengthen the workforce and increase the employability and productivity of a person,shared Monico V. Jacob during the contract signing. 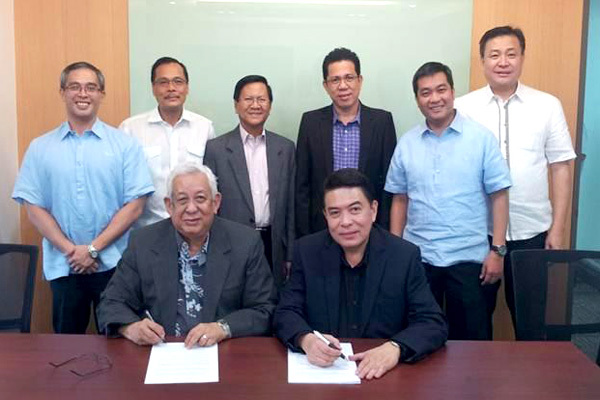 Present in the signing of the MOA are STI President and CEO, Mr. Monico V. Jacob and Nozomi Fortune Services, Inc. Managing Director Mr. Alexander S. Arnado together with other officers from both parties. With this alliance, STI and Nozomi open doors for more Filipinos to gain a college degree while earning through this unique educational program.